Google, Facebook and Yahoo have announced that they will be participating in a 24-hour test of IPv6 on 8 June. By the end of 2011, it has been forecast that the internet will run out of space using its current 32-bit IPv4 address format. The IPv4 format has been in place for over thirty years, since the very dawn of the web, but the new IPv6 solution will support more web addresses than its predecessor; a total of 3.4 followed by 38 zeros, to be precise. Although some sites, including the Google-owned YouTube, currently use the new standard, IPv6 has never been used on such a wide scale before. Google doesn't anticipate many issues though. 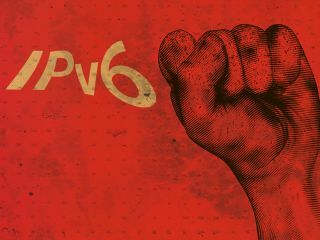 The illustrious search giant said in a blog post, "The good news is that Internet users don't need to do anything special to prepare for World IPv6 Day. Our current measurements suggest that the vast majority (99.95%) of users will be unaffected. "However, in rare cases, users may experience connectivity problems, often due to misconfigured or misbehaving home network devices. Over the coming months we will be working with application developers, operating system vendors and network device manufacturers to further minimize the impact and provide testing tools and advice for users."